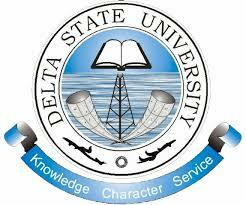 The authorities of Delta state university (#DELSU) has released her 1st, 2nd and 3rd Batch Admission List For 2018 /2019 Academic session. The below article to know how to Check your admission Status on the school portal. This is to inform all the candidates that applied for the Delta State University (DELSU), Abraka, 2018/2019 post UTME and also participated in the screening exercise that they can now check their admission status. DELSU admission list which contains the names of candidates offered provisional admission into the university various undergraduate programmes for the 2018/2019 academic session has been uploaded on the university website. 1) Go to Delta State University Abraka admission status checking portal at http://delsu.edu.ng/utme20182019checkadmission.aspx. 3) then click the ‘Check’ button. MSG Team congratulates all the candidates that made it to DELSU admission list.